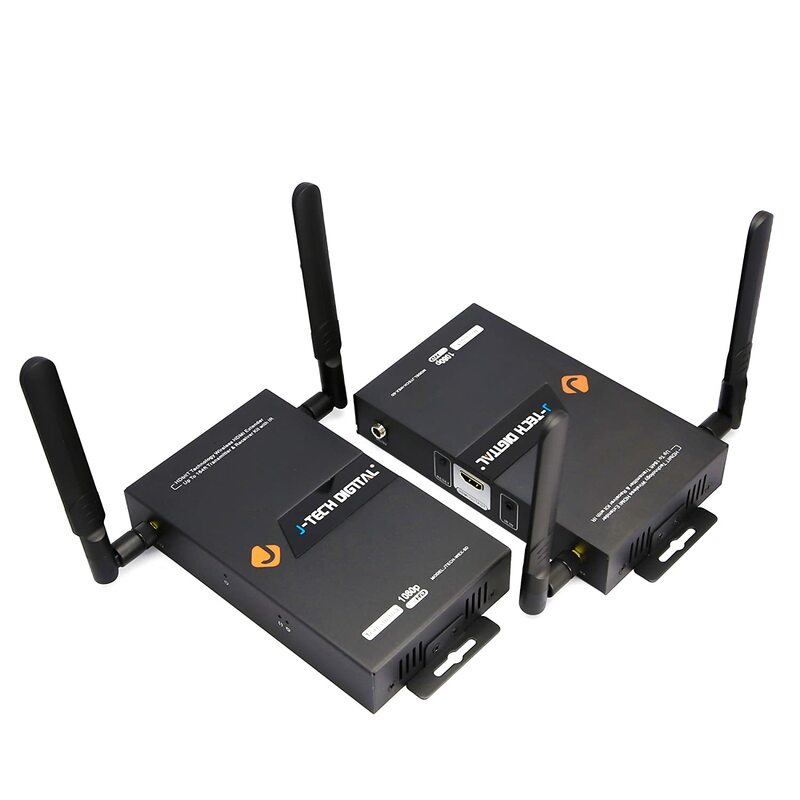 This innovative transmitter and receiver pair are capable of streaming full HD 1080p video with support for the latest 3D movie content up to 164 ft. away within the home, through walls and ceilings for your desired setup. The extender is based on latest HDBitT technology which greatly improved the signal stability and transmission range, unlike WHDI technology, for which loss of signal is a common issue. AMAZING VIDEO QUALITY UP TO 164 FT AWAY: J-Tech Digital HDBitT Dual Antenna 1x2 HDMI Wireless Extender is the most powerful wireless HDMI extender on Amazon. It lets you extend an HDMI audio/video signal wirelessly up to 164 ft (50m) using latest technology.